Easton is known for its high-quality bats that achieve great performance when playing. They use the latest technology to ensure that their bats are up to date, comfortable to play with and that they meet the needs of the player. During any game, the comfort of a bat determines the player’s performance. That is why Easton has made the Easton 500c very comfortable to play with. Again, Easton understands that every player wants to have the best bat, but not all of them can afford the high prices tagged on the bats. The Easton 500c youth bat caters for all players. It is economical to buy. Players can achieve their goals of having a high performing hybrid bat for so little and it will last them for a long time. This bat is made to fit in to the budget of everyone. 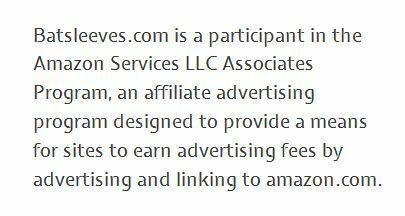 It costs less than a $100. For any parent who wants their child to achieve excellence in baseball without squeezing their budget, then this bat is the best. Compared to other two piece allow bats, it is considered to be among the most fairly priced. The aluminum alloy used when making the bat is long lasting. Players do not have to spend a lot of time and money replacing their bats every now and then. They are comfortable when playing, as their bat will not dent. This is very economical. The 500c Easton youth bat is a two-piece bat. It has an aluminum alloy barrel and a composite handle. The handle is made of composite carbon fiber. This material makes the bat light, powerful, and strong. Easton solves three problems by using aluminum; the weight, performance and the durability of the bat. 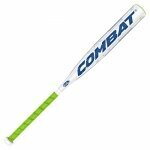 The youth bat is light due to the aluminum alloy material it uses for its barrel walls. They are thin but very durable. The bat can survive high energy resistance without denting. The aluminum material further helps the bat to flex during contact time. Using an aluminum alloy shows how much Easton keeps up with technology. The aluminum alloy is the best and most recent material for making bats. Did you know that using the aluminum alloy helps in extending the bat’s sweet spot but it does not affect its balance? An extended sweet spot gives a better contact for the player every time they hit. Easton uses its patented ConneXion Technology, which reduces vibrations on the player’s hands when playing. The two materials are connected together with a joining material. This material is responsible for absorbing all the vibrations. When a player hits the ball, the energy is transferred back to the barrel hence reducing vibrations on a players hand but increasing the swing speed. The technology ensures that the bat’s flex and whip are maximized resulting in maximised energy transfer. This is what reduces the vibration when the player hits the ball. On top of that, it is able to turn a bad hit from a player to a good one. 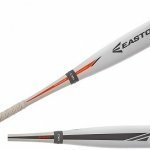 Easton 500c has a thin handle, which allows the player to comfortably grip onto the bat while playing. This means that youths of all ages are able to play comfortably without losing grip on the bat. Their ability to hold on to the bat throughout a game increases their confidence when playing. A bat that’s said to have a firm grip ensures that the player is always in control of the bat. Trainees learn to hold the bat very fast. As a result, they learn faster and their performance is incredible. 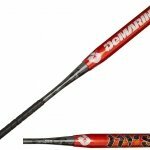 Basically, this bat encourages trainees in their play and gives experts an incredible performance when playing. Easton understands that young people are of different heights and energy. They have come up with bats whose lengths vary between twenty-eight to thirty-two inches. The variance caters for youths of all height. The bat weighs between sixteen to twenty ounces. This means that there is a suitable bat for youths of all height and strength. A player’s performance is determined by the weight of the bat, comfort while playing, the bat’s durability and the bat’s capabilities. For Easton, the 7050 Aircraft alloy material makes the bat be light, so the player is able to achieve fast swing speeds. This bat is good for trainees and for experts. Its designs ensure that players achieve a consistent swing speed. Again, the material is very durable, so the player is never concerned about hitting the ball hard when playing. The player is sure that the bat will remain intact. The Easton bat is qualified to play in leagues like Babe Ruth, USSA, Little League, AABC, Pony and Dixie. For a bat to qualify to be used in any league, it must meet the set guidelines for the leagues. For Easton 500c to be approved for use in many leagues, it means that it is well made and it meets the player’s needs. Easton takes its products seriously and it always aims to produce products that are accepted in the market. The company employs former sportsmen to advise and test their products. By having such level of experts as employees, their products are tailor-made to meet the needs of the players. The engineers seek to tackle the challenges that players have when designing the products. They also have experience in different sports. Experts give advice in their field of expertise. For example, only a baseball player is involved when making bats. After designing the products, they are taken to the Easton Lab to test their performance. Human performance is also tested in the lab. 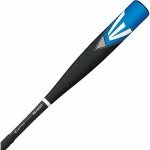 Pros of Easton s500c Youth Baseball Bat: The bat is fairly priced considering the other alloy bats. The players also get a one year warranty on the bat. Trainees can use the bat with ease. 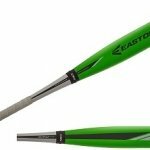 Cons of Easton s500c Youth Baseball Bat: It’s an excellent bat for players and there seem to be no solid cons for the bat. For the Easton 500c, the engineers tackled the challenge of price, comfort, durability, performance and they incorporated modern technology. Players are sure that the Easton 500c bat has been tested by professionals to make sure that it’s the best of its kind.